Why Your Business Needs Local SEM Services rel="canonical"
Could your business use a boost? If you’re noticing your SEO efforts are plateauing, there’s a new term you need to familiarize yourself with. We’re talking about SEM. 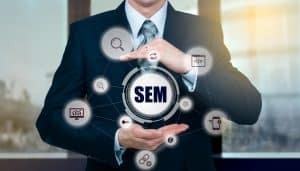 SEM, or search engine marketing, is SEO’s counterpart. It focuses on paid search, rather than organic. So why does my business need it, you think. We have your answer. 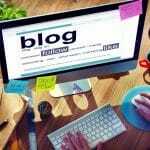 Let’s go over a few reasons why your business needs SEM services. While they may not be searching for your company specifically, they are looking for your product or service. For example: if they’re looking for eyeglasses, using SEM services will allow you to be at the top of search results for that item. 81% of consumers research online before purchasing something. So it only makes sense for you to implement SEM tactics that get your business in front of those shoppers. How do you know something’s working if you can’t measure your efforts? Because you’re essentially paying for clicks, you’ll get an analysis. You see the amount of money spent and which one of your campaigns is successful. From there, you can gather information on how to improve your ads. 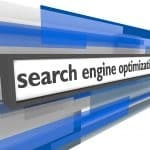 Instead of spending your time, money, and effort on SEO, combine it with SEM. When you have SEO tactics and SEM services working together, you’ll get a quick return on your investment. Your website will be optimized to its fullest. You’ll gain traffic from both organic and paid search results. Imagine how long it’ll take to get double the traffic with just SEO alone. When you go the pay-per-click (PPC) route, you stay in control of your budget. You’re allowing yourself to gain more conversions and leads no matter your budget. Sometimes consumers are wary when it comes to buying from new or unfamiliar places. You need to get your name out there some way, right? This is where SEM comes into play. Whether they click on your ad or not, you’re still getting exposure. They’ll see that your brand and product (or service) is up there at the top and you have what they’re looking for. If they click but don’t buy anything, you still get benefitted. You’re gathering information about the people who click on your campaign. We know you’re crunched for time as it is. You don’t want to sit there for hours just getting your account set up. That’s why it takes no time at all to get your brand in front of potential consumers. You’ll be up and running in a short amount of time. You can tweak your campaign at any time you want. So whenever you’re feeling something isn’t working, you can go in and change it without any downtime. SEM is the way to go if your business could use a boost in traffic. It’s the quickest way to get your name out there. Ready to take your business to the next level? Get a free quote today!